Samsung Electronics has now taken over Apple to become the world’s largest maker of mobile phones, memory chips and the most profitable tech firm. 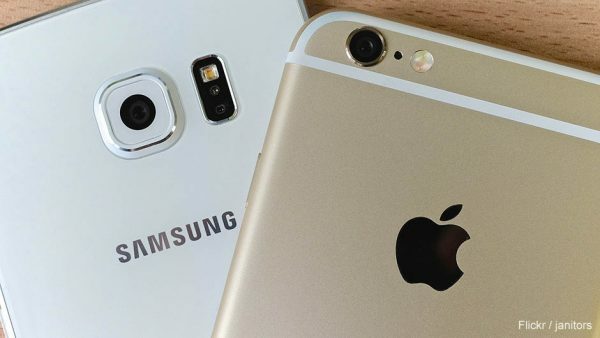 Last Thursday July 27 2017, the figures showed that Samsung is in the process of taking Apple as the world’s most profitable tech firm. Samsung had announced that huge sales of its new Galaxy S8 smartphone and demand for its memory chips were behind the jump in April-June and predicted another blockbuster report for the current quarter to September. For the three months, Samsung pulled in 61 trillion won ($54.8 billion) in revenue and 14 trillion won ($12.6 billion) in profit. Apple will release its earnings for the same period next week. Analysts expect the Apple to report revenue of $44.9 billion and an operating profit of $10.5 billion. Though Samsung is the world’s leading smartphone maker, it was bumper demand for memory chips that drove the company’s earnings to new heights. The chips unit posted 8 trillion won ($7.2 billion) in operating profit, or nearly half the group’s total. Analysts expect the momentum to continue for the rest of the year, driven by the release of Samsung’s next smartphone, the Galaxy Note 8, and sustained demand for memory chips. However, Greg Roh, an analyst at HMC Investment Securities indicated that Samsung has won over their competitors.